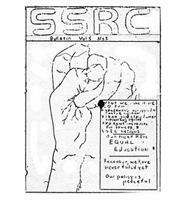 Before the June 16 student uprising, the Soweto Students' Representative Council (SSRC) was formed. This organisation led the march that the police fired on and came to be known as the famous Soweto Revolt of June 16. The SSRC had mobilised students to protest the introduction of Afrikaans as a medium of instruction in black schools. Tsietsi Mashinini who fled South Africa in 1977, led the SSRC. After Mashinini's flight from South Africa, Khotso Seatlholo took over the role. Even though the leaders of this organisation were high school pupils the government security forces continued to hunt, detain, interrogate, and in a number of cases, murder them.